There are many reasons why chocolate makes people happy, and one of them is sharing the love with chocolates. A moment comes in life when you feel downhearted and at that time sweetness of chocolates can help you to be cheerful. Dark Chocolate Bar, the combination of dark cocoa beans and palm sugar is not only right for brain function, but it also removes negative vibes when you gift it to your loved ones. 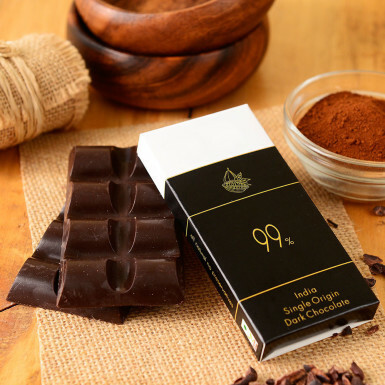 This Dark Chocolate bar will make you addicted to its mouth-watering taste of it. Place your order at our website Winni.in and get delicious Dark Chocolate Bar Set of 2 delivered at your desired place.